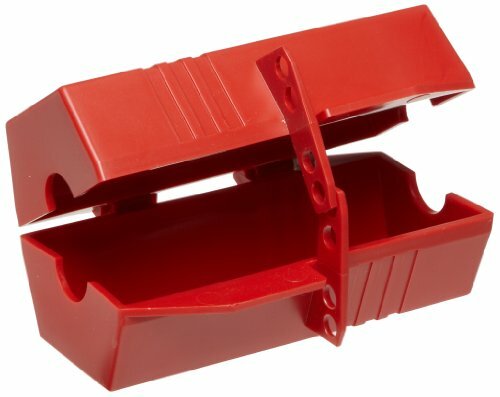 Brady 65675 Brady Plug Lockout - Large made of rugged polypropylene which size is 3-1/4" Height, 7" Width, 3-1/4" Depth with 1" Diameter Hole For Cable in red color and is for use with 110V electrical plugs. Avoid electrical accidents by applying lockouts to prevent plugs from being inserted into a wall outlet. Use when plug will not remain under the exclusive control of the person performing service or maintenance. Danger message printed on device to alert workers of lockout in progress.